Before you begin working your way to foreign language fluency, it helps to understand the culture behind the language you’re learning. After all, language exists to help a group of people express their ideas and beliefs. Russia is a vast country with a rich history and culture. As you begin your Russian language program, gaining a strong grasp on this history, the values, and the etiquette will help you rapidly achieve success. In particular, traveling in Russia can be complicated if you’re not careful. When you are traveling in Russia, there are some common sense rules you should keep in mind. Crime in some parts of the country is a bigger issue than what you see in most developed countries in the world. When you are traveling by train, you should lock up your luggage or even book a compartment for yourself. Booking a compartment is going to be quite expensive but it will be worth the peace of mind if you can afford it. Pickpockets are generally not a problem anymore in the United States but they are very much an issue in Russia. Be very aware of your wallet when you are riding on public transit or walking through crowded streets. Be especially aware of what’s going on if you feel as though someone has bumped into you on purpose. You should also be aware of the fact that you are required to carry official documentation with you at all times. This is yet another reason why you’re should be especially aware of anyone who might look as though they are trying to pick your pockets. You don’t want to be in a situation where you need official documents and realize your wallet or carrying case is gone. Personal protection companies are big in Russia. If you feel as though you need this kind of protection, you should absolutely hire bodyguards in order to protect you and your belongings. 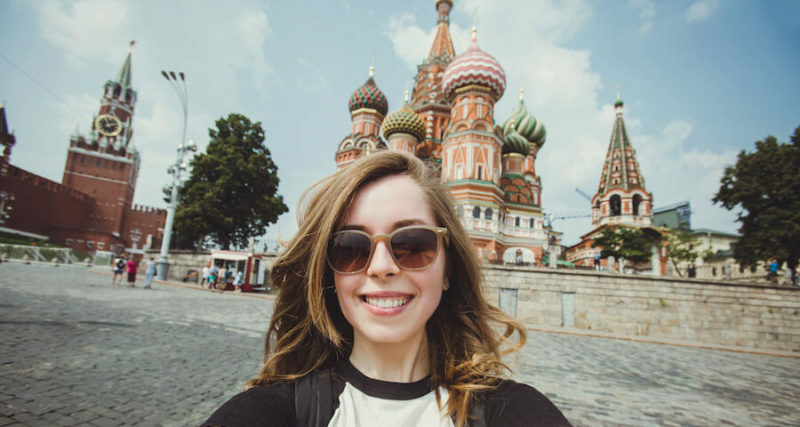 Locating the best place for adventures in Russia comes down to knowing what type of adventure you are seeking. The massive landscape includes country houses, endless types of resort atmospheres and natural wonders. To find the ideal vacation location, it is necessary to know exactly what type of fun, or escape is desired the most. The distances between hot spots in Russia are not like those in Europe. It is not a matter of a short taxi, or metro ride to the next beach. A “nearby town” in Russia could mean a six-hour drive, but locals are quick to direct tourists to interesting destinations despite the common misunderstanding. In order to make these long treks easier, plan Russian vacations around a less busy time of the year. Late August, for instance, is a very taxing time for Russian trains and air service. Try traveling in the early summer and spring. It’s no secret that Russia is a fantastic place for extreme adventure enthusiasts. A climb up 18,480-foot Mt. Elbrus(“гораЭльбрус”) allows tourists to say they have climbed Europe’s tallest peak. A swimming and sailing adventure at Lake Baikal (“озероБайкал”) is a rare way to create a memory around the world’s deepest lake. Relaxing in a volcanic geyser stream in Kamchatka (“Камчатка”) after a cross country train ride is something very few people do in their lives. A simple Russian steam bath can be more exciting than most world tours. Of course, a Siberian helicopter ride to spot rare tigers is only a simple matter of booking a flight from there. Reserved Russian tours can include historic surveys like those surrounding the cities of the Golden Ring. These are Владимир, Суздаль, Углич, and Ярославль. Seeing these four cities will also include a great tour of secondary sights. End a long tour of the country with a visit to the beaches of places like Сочи. This Olympic site now offers incredibly modern and diverse tourist comforts. Again, enjoying the many interesting locales in Russia requires knowing exactly what a preferred adventure entails. The options are endless, but it is important to plan ahead. What Is the Education System Like in Spanish Speaking Nations?